The largest library of Islamic audio - available on your mobile device - for free! Watch this 90 second video to find out! Compatible with iPhone, iPod touch, iPad and Android. 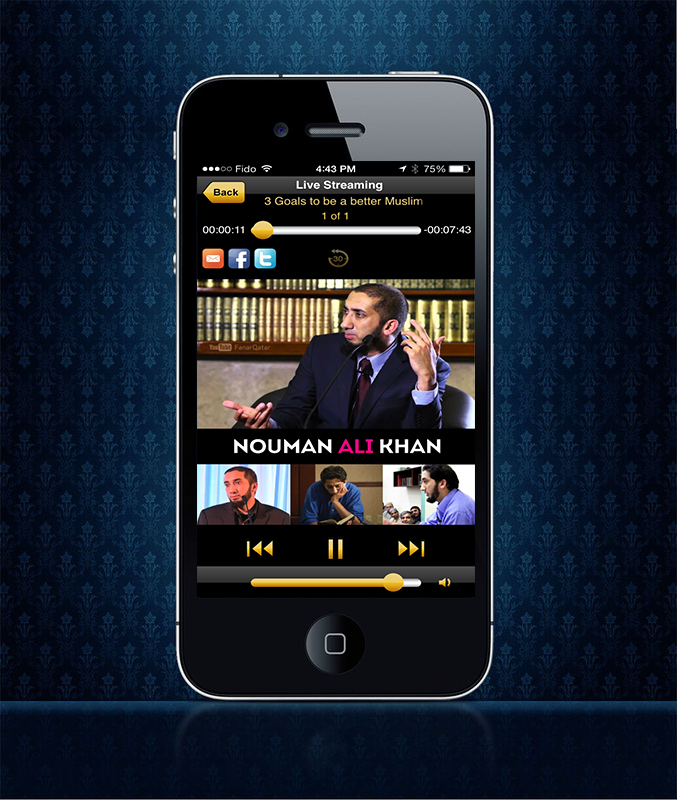 Look in the App Store or download here! 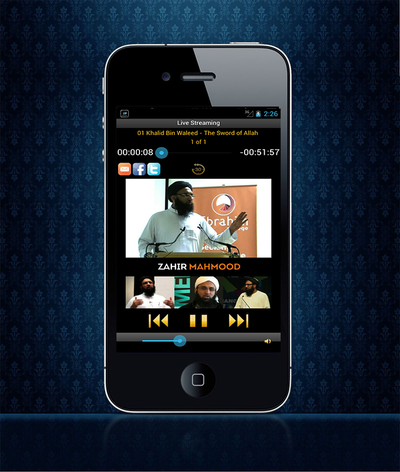 Spending too much time looking for good Islamic audio? Tired of downloading onto your computer and then uploading to your device? Ever wish you had something beneficial to listen to on those long drives in the car, in the waiting room or at the bus stop? ilmStream has done all that work for you. All you need to do is tap and listen away! 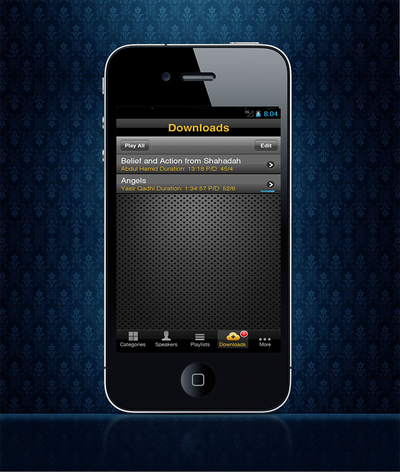 Low bandwidth audio-only format to save your battery and data plan! Download the lectures to your device ahead of time if you don't have any data plan. "Pick Random" feature picks a random lecture for you if you're too lazy to do it yourself! 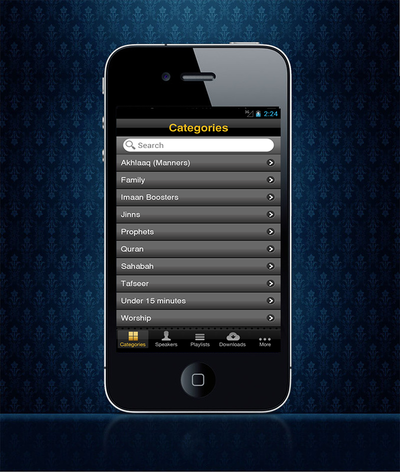 ilmStream gives you the ease of listening to imaan boosting audio at the palm of your hand anytime, anywhere! Knowledge (ilm) is power. Click here to request a new speaker to be added to the app. Absolutely free! This is a fee-sabeelillah project. All we ask is that you make dua for us! How do I download a lecture to my device? You first have to add the lecture to a playlist by clicking the "+" icon beside the lecture name in the lecture list. Then go to the "Playlists" tab and click the Download button. Then click the cloud icon beside the lecture name to download it to your device. Disclaimer: IlmStream has no affiliation with the speakers nor is responsible for their views.